The Vitruvian Man is the familiar drawing made by Leonardo da Vinci around 1490. It shows the proportions of the human body according to the architect, Vitruvius. Leonardo’s notes on the page, written in reversed mirror writing, tell the math associated with the ideal man’s proportions. Describing the ideal man has become not only a task for artists, but also for philosophers, authors, and pundits. Contemplate Christ, Buddha . 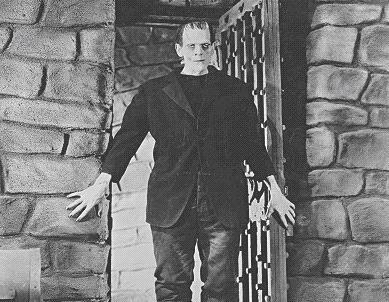 . . even Frankenstein’s monster, and remember that no man is without flaws.